I'm so pleased to be able to introduce our keynote speaker for the 5th Girl Geek Dinner Canberra. "everyone expects you to be a deep specialist in something and no-one knows how to deal with a generalist, yet most women are better at being a generalist across at least a few areas rather than a deep specialist"
Kim Lambert has over 20 years experience in IT but like many women, she didn't set out to 'go into' IT - she simply ended up doing that type of work. Kim worked in a wide range of private industry areas, from wholesale sales, through retail management, administration and financial management before starting in the IT industry in 1988. In 1988 Kim moved from private industry to the Public Service, working in ACT Government at the time of its inception as a separate entity. After 3 years working in IT, she decided to study in that area and completed a Graduate Diploma in Applied Science in Computing. In 1994, Kim moved to the Department of Defence as IT Manager for the Capital Equipment Program Division. Over the following 4 years she managed the implementation of wide area connectivity within Defence across the ACT and co-ordinated IT activity for the Acquisition and Logistics Program (comprised of 7 Divisions), as well as Project Managing a number of major upgrade activities. Kim was a member of the newly created Defence Information Environment Committee which established policy and governance for the rapidly growing Defence national networks and in 1997 Kim moved to the Family Court of Australia as Manager of Network Development and Support, managing a range of major upgrades to the Courts systems across a nationally distributed network of sites. In 1997, Kim undertook contracting roles at ACTEW Corporation (ACT Electricity and Water) and the ATO however, she returned to Defence in 2001 and carried out various contract roles over the next 5 years managing IT Infrastructure development activities for the DSN, working on major project and system integration activities, as a client liaison and stakeholder manager for ICT based projects and as a Project Manager for major building ICT infrastructure upgrades. In January 2006 Kim returned to the permanent Public service in Defence to the role of Director, Architecture Support in the Information and Architecture Management Branch of the Chief Information Officer Group. Her broad based IT industry skills and knowledge were well suited to this role, which managed a wide range of activities covering the development and management of the Defence Architecture Framework, the Defence Standards Management System, the policy and procedures to support the use of the Architecture Framework, and the Training development and delivery in support of Enterprise Architecture (EA) in Defence, as well as the Defence sponsored EA tertiary courses offered through the Australian Defence Force Academy. Kim was instrumental in introducing the process which ensures that all changes to the Defence Information Environment (DIE) are architecturally assessed to assure the integrity of the DIE. On top of all of this, Kim has also been involved in a range of Whole-of-Government Interoperability Working Groups and is a past Chair of the International Defence Enterprise Architecture Specification (IDEAS) Working Group which is developing data models, architecture models and methodologies for interoperability of Allied Nations Business and ICT Architectures. She was also a founding co-Chair of the Australian Defence Architecture Practices and Training Industry Forum (ADAPTIF). 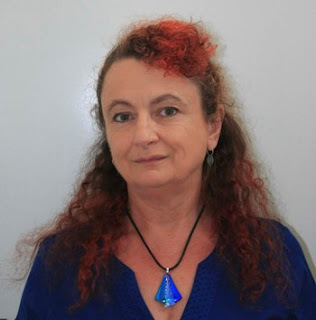 She has been active in the Australian Government oriented Enterprise Architecture community and has presented on Defence architectures in 2006 and 2007 at the Telelogic sponsored ‘Innovate’ conference. In March 2008, Kim chose to leave the public service to take new challenges in her current role as Technical Services Group Manager for the Defence Regional ICT outsourcing contract, at Unisys. In this role she has established a new group with technical support and governance responsibilities, providing high level; technical resources in support of over 300 field staff around the nation. Her team provide senior technical skills in such areas as IT Architecture, Server and Desktop Management, network management, ICT Security, Project Management, Change management, Technical Writing, Testing, ITIL and Six Sigma Process Improvement, Asset Management, Technical Training development and delivery, Problem Management and root cause analysis. During the 18 month transition from Defence to the Unisys operation of the Defence regional ICT infrastructure, Kim assembled and managed a team of 12 staff who were technical change agents, travelling to all regions of Australia to support other staff in transitioning and ensuring that service delivery to the clients was not impacted as responsibilities and roles changed. The transition has been described by Defence management as the smoothest large transition that they have ever been involved in. Microsoft Girl Geek Dinner #5 ... finally!